Look who landed on our desk yesterday! Sophie, the world’s most famous teething toy – now available in Malta. So we’re celebrating our 300 Facebook likes and Mother’s Day with a giveaway. One lucky winner will recieve an official Sophie la Girafe, and we’re pretty excited! Keep on reading to find out how to enter for a chance to win. Sophie was first produced in France in 1961. Mothers all over the world soon realised that the non-toxic, natural toy was worth its premium price tag. Sales escalated and earned it a 5 star rating in no time. I fell in love with Sophie the moment I laid eyes on her back in 2012, before my son was born. If you are doing any research on baby products you are more than likely to have come across the rave reviews for this teether. So when my son started teething, I knew we had to have one – I fell in love with the story, and the design, so Sophie was a definite no-brainer. To much of my sadness, many items that I wanted to purchase for my little guy were not available to purchase locally, and Sophie was one of them. I was over the moon when I heard that Roseberry in Valletta now stocks this adorable giraffe. In all honesty, I am normally all in for ordering items online, but I don’t recommend this to be an item you purchase online because just like other high end designer items, there are countless retailers selling reproduction Girafes, and you’ll be missing out on the best things about the authentic Sophie. Upon opening the box we recieved from Roseberry, a whiff of Sophie’s signature scent floated out of the box. The natural rubber (from the Hevea tree) that Sophie is made from smells so good, and I can’t stop sniffing it. The soft rubber is not only soft enough for baby’s sensitive and sore gums, but pleasing to anyone’s touch. It really is a joy for the senses. Sophie also squeeks when you squeeze her and apart from stimulating baby’s hearing it also amuses them. As baby gets older, the toy helps teach and understand cause and effect, and entices plenty of giggles. This iconic toy is a perfect gift for new mom and baby! Read more about the charming story of Sophie and see how, despite being in production for over 50 years, it has not changed – and that says a lot! Much to my surprise, it was only when Roseberry started stocking Sophie la Girafe that I became aware of their cosmetic line. The Natural and Organic Skincare is developed for delicate baby skin and is loved and used by all ages. The first thing I do with any cosmetics is smell them and make sure they have a nice enough smell to have on face and skin – and boy do these creams smell so nice and sweet. I think they’re perfect for baby, mom, and even dad! Due to my son’s condition, I am very particular with products I use for his skin. There are quite a few problems that can arise with chronic kidney disease, one being deficiency of certain minerals that have caused extremely thin and brittle toe nails. Having tried other creams, oils and balms, I knew I had to try the Protection Cream. I massaged a small amount over his itty bitty toes and it was absorbed very well. An hour later, his toenails still had not appeared brittle and dry. I know its not something that is going to change overnight, but this Protection Cream is much more of a promising solution than anything else I have tried. The Face Cream was no different, sweet smelling, nice to apply, and leaving his skin soft and nourished. I love that they are natural and organic and made with things like Jojoba Oil, Nordic Blueberry Oil, White Tea, Aloe Vera, and Lavender to name a few. Sophie la Girafe cosmetics have been happily added to our favourites list. What is the name of the tree from which the rubber is extracted to make Sophie la Girafe? Which is your favourite Sophie la Girafe product from the cosmetic range? View the full range here. Please post your entry in a comment on this blog post below or you can post on our Facebook page, but only one entry per person is permitted. Entries must be posted by Sunday, 10 May, at midnight, and one winner will be chosen at random*. *Sorry, limited to readers in the Malta only. UPDATE: Congrats Maureen Azzopardi for being our winner! Sophie La Giraffe in the gift box is my favourite product, but I love her hair and body wash too. Sophie is made out of the Hevea tree. Sophie la Girafe is made from the latex found in the Hevea tree and i will be using it in a few months time when my baby will be teething. 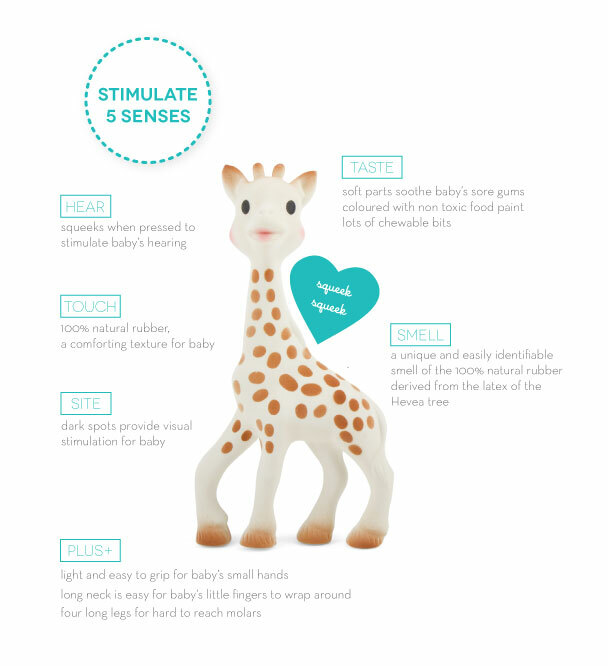 Sophie la Girafe is made from natural rubber from the Hevea Tree. My favourite product is the SLG Baby protection cream as I love that is made from natural ingredients and it smells so good too. Sophie la Girafe is made out of natural rubber from the Hevea Tree. I think the SLG starter kit is the best option for a ‘mum to be’ like me, since it includes a bit of everything. Really good blog. Keep up the hreat work.